Create a unique and lasting impression with our custom woven polyester tie. This eye-catching and stylish item can be imprinted to your liking, woven with your company name, logo and so much more. Choose an all-over or single-spot design. Artwork up to six colors; pre-production sample and set-up included with completed order. 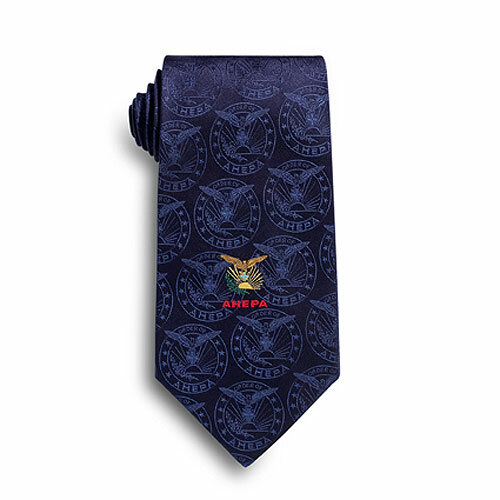 Our ties are perfect for uniforms, gifts or incentives. Let our award-winning design team help increase your brand visibility! Custom designed tie. 58" standard length. Complimentary artwork up to 6 colors, pre-production sample and set-up included. 50 piece minimum. Quantity discounts available.